First: what the heck is a Doggie Dumpster? 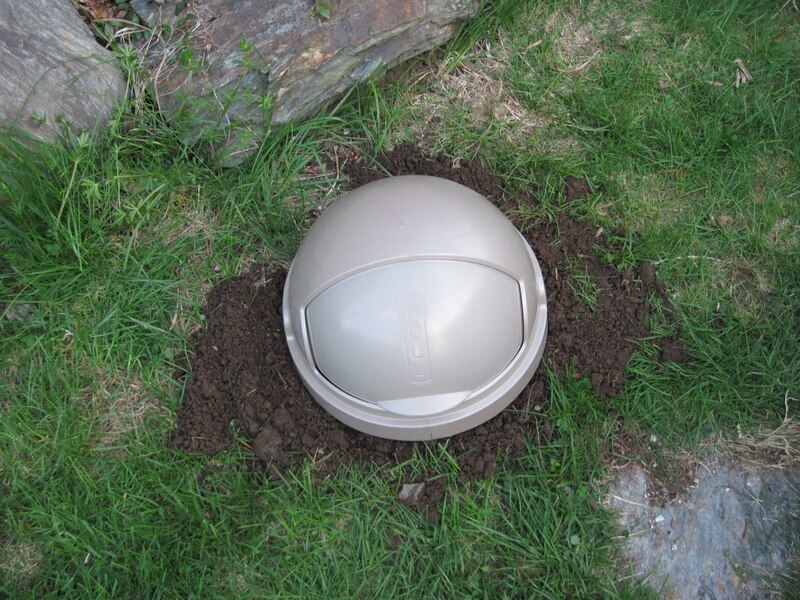 This is a neat place to deposit and compost pet waste using worms in your yard. The picture below shows the finished product installed in my yard. As I have written before ( http://www.wormmainea.com/Projects.html and http://wormmainea.blogspot.com/2009/04/retreating-snow-uncovers-presents-from.html), this is a great way to deal with pet waste you pick up in your yard. Far better than putting it in the trash in a sealed plastic bag, because you are composting the waste and using it to fertilize your yard (OK for lawns and perennial plants/trees; NOT OK for garden food areas). All you need to get started is a roll-top can, 1/2 # of worms, and some leaves, peat, straw, or hay for bedding. 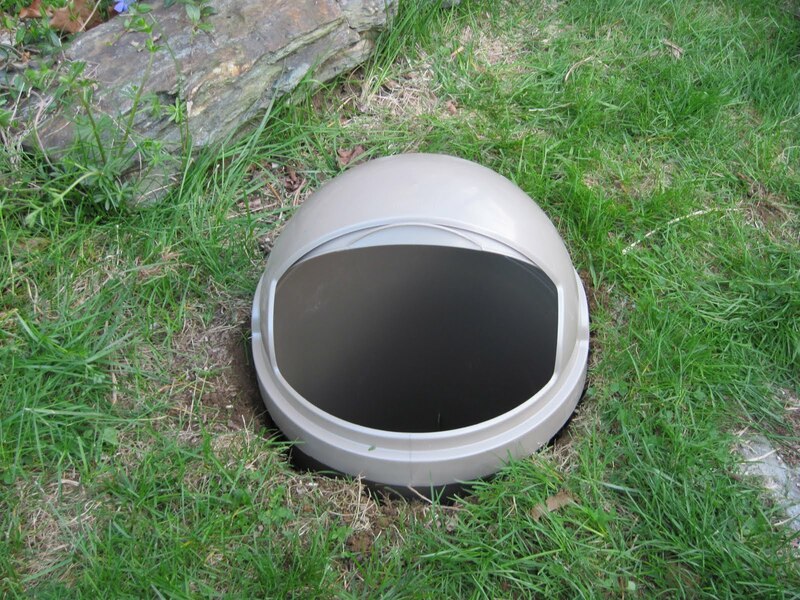 There is not magic to a roll-top trash can, but I think these look OK in the yard and you can open the top with your foot or shovel to make deposits. in my experience, the roll top also keeps critters out of the Doggie Dumpster contents. I purchased the roll top can for $15 at K-Mart in Waterville. I'm using leaves and I have worms, so those are free. 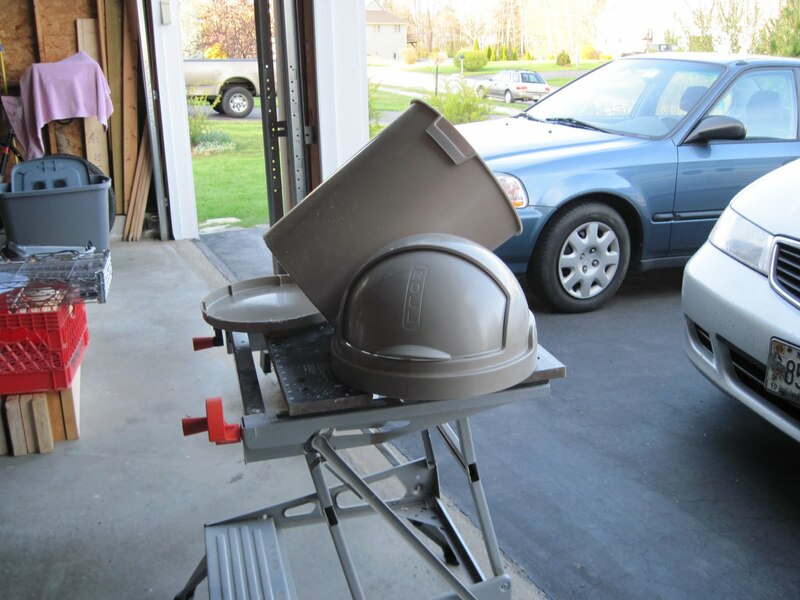 Cut the bottom off of your trash can. 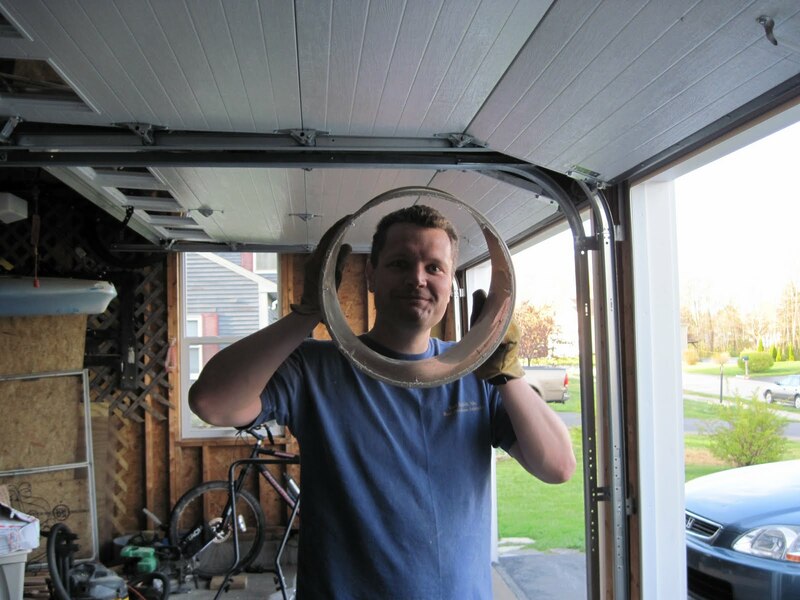 I cut the bottom 3/4 inch, leaving me about 16" of can liner. That is a reasonable hole (both from the ability to dig and reasonable volume). My hack saw did the job quickly and neatly. That's really all you need to do. 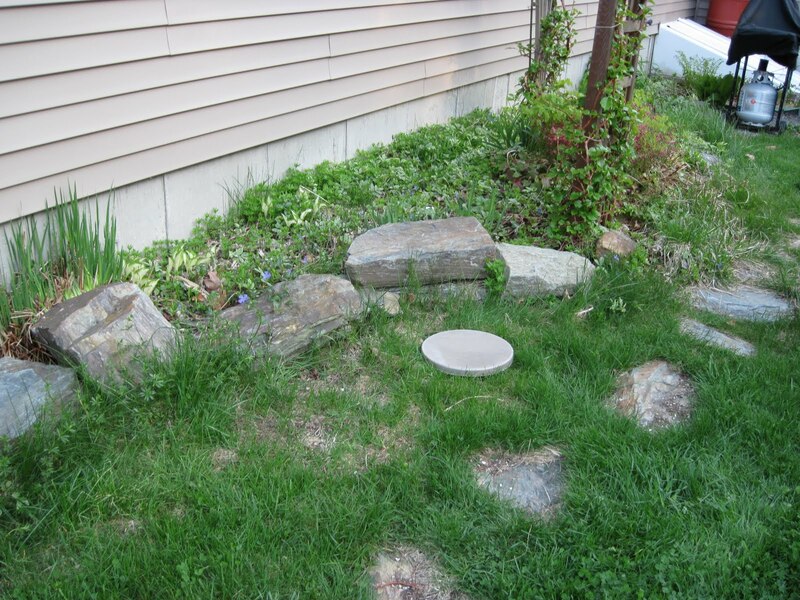 First you want to be sure this is in a place you can be sure that children will not get into it and that this is not in an area that is close to ground water or liable to flooding. I chose an area in the backyard where the grass could use some help that is out of the way. 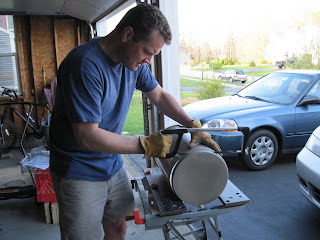 I used the bottom I had cut off to estimate the diameter of the hole. 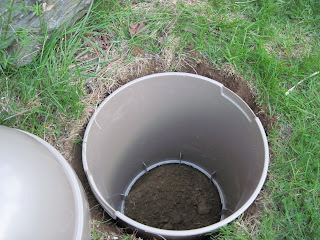 After that, it is dig, dig, dig until you can fit the bottom of the can in the hole with the top exposed. 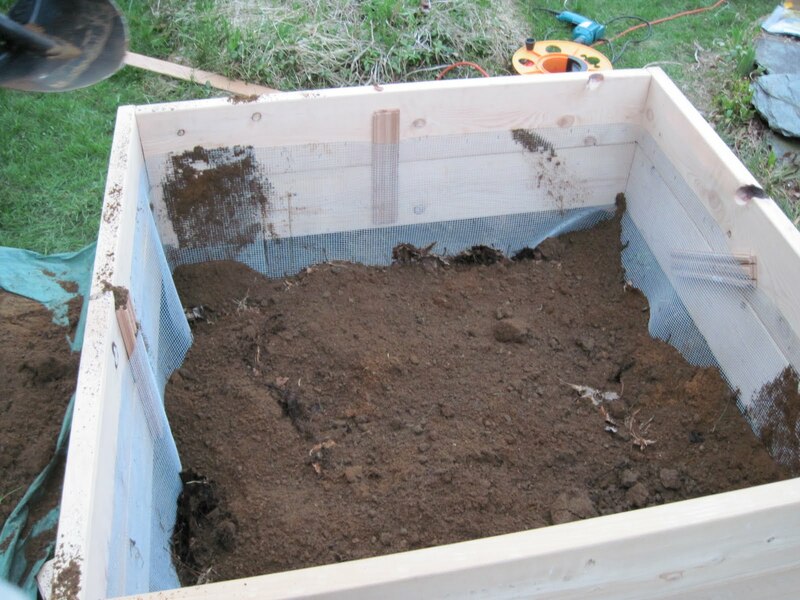 Now you add a thin layer of bedding (leaves, peat, straw or hay) to the bottom and gently put some worms in and cover with another thin layer of bedding. You don't want to add too much bedding, because you want to have space for your additions. I started this one with 1/2 # of worms, you can use more or fewer, but this works for my anticipated input volume. I added about 1 quart of dry bedding (total for top and bottom). Finally, I back-filled around the hole to fill-in any gaps around the sides of the can. Here is how it looks with the top on. 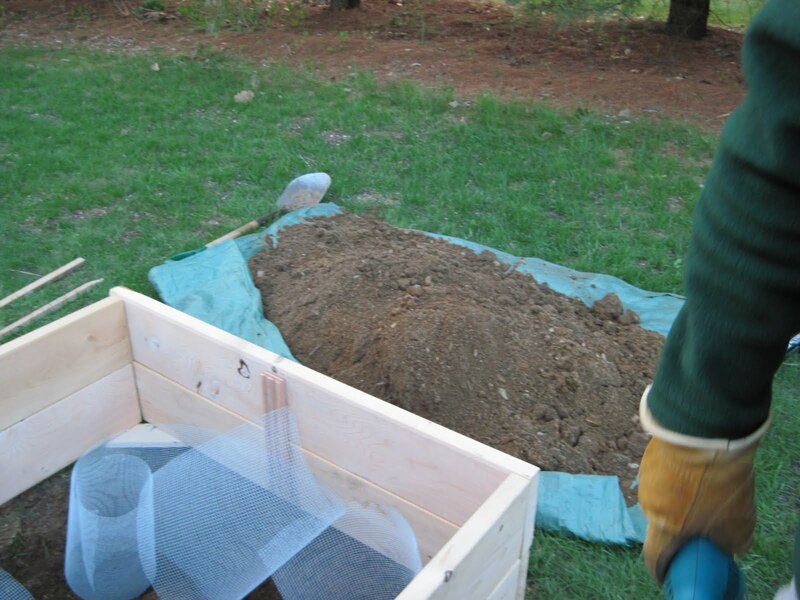 To make a deposit, add the waste and cover with bedding (leaves, peat, straw or hay). Again, don't add too much bedding, just enough to cover the feces. Don't bag the poo you put in-- even in a biodegradable bag! The time it takes for the bag to break down would mean that the hole is filling faster than the worms can access the waste.I think this would work best with policing up poo in your yard (where you can use a shovel) or if you already own a pooper scooper (or , or , or , or ) then you could pick up as you walk your pet and deposit when you get home. You should not have to add any water to this because it is below ground level. I would suggest you add more worms if your getting any bad smells, and perhaps add more bedding. What do I do when the Doggie Dumpster is full? 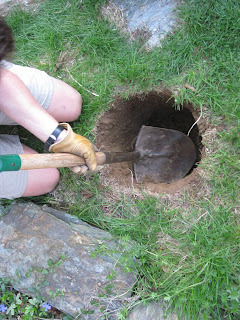 You will have to repeat the hole digging process when the pit is nearly full. Simply remove the bottomless can liner (wash your hands thoroughly after touching this!). Overall, the process is easy-- your sod circle from your new hold goes on top of the old hole and you water it in. 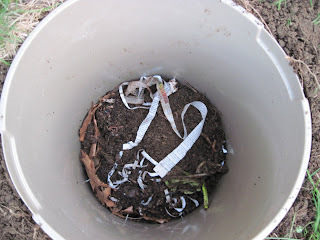 You don't have to buy a new can, and you can use worms out of your worm bin. I would consider these a great addition to a dog park or trail head; however, if users deposit poo in plastic bags it won't work. It could work with some training or information, but I am reluctant to install one at the Eastern Trail Head because of non-compliance and the potential for failure..
Building a new raised bed is not difficult, but you will want to plan it out before starting. 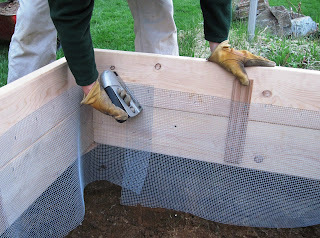 I am putting in a new asparagus bed to correct my too wet old bed. 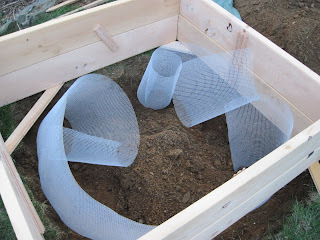 This blog will review my plans installation. I welcome any comments or suggestions. Lumber: I plan to have this raised bed for a while, so I am building it out of hemlock. Hemlock is naturally rot resistant, so I don’t have to worry about ground contact. Hemlock is strong and inexpensive, too. On the other hand, hemlock can warp and will expand and shrink with the seasons. That is not a problem for me. I will reinforce the sides (with some leftover flooring lumber), but a little warping will just give the raised bed character. I purchased 2” x 10” x 4’ dressed hemlock from Maschino Lumber in New Gloucester. You could use rough hemlock to get a more natural appearance, but I prefer fewer splinters. Their price was $4 per board. I used 8 for this so the lumber cost me $32. 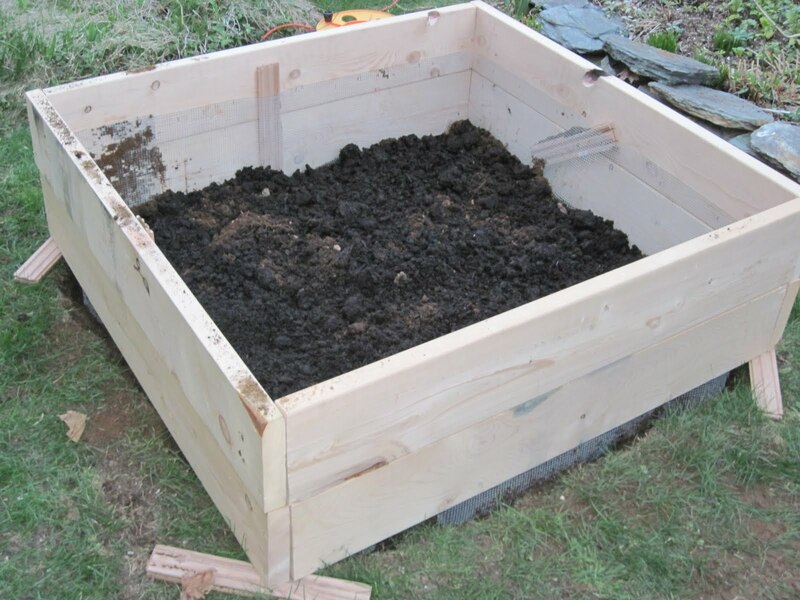 Soil: I am filling this bed with a combination of finished hot compost, vermicompost, leaf mold, and peat. 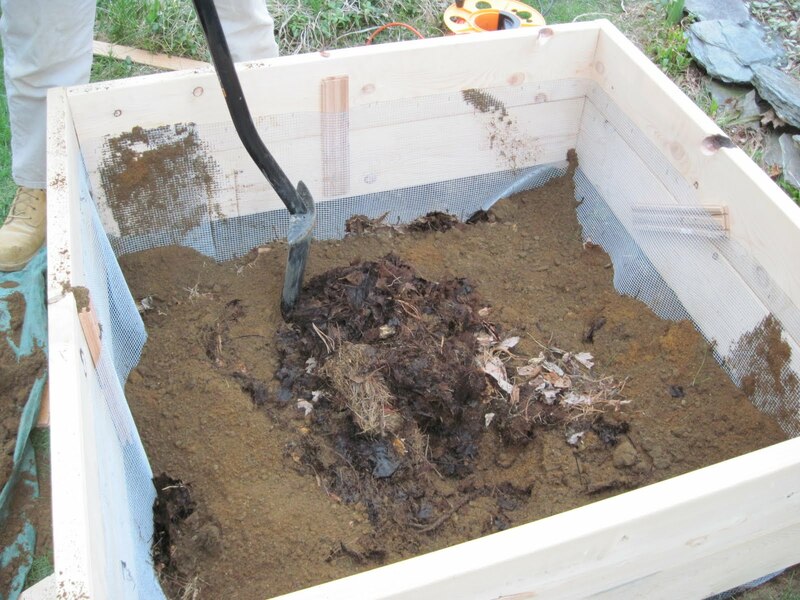 It is mostly hot compost with a little vermicompost/leaf mold/peat to increase the organic matter content. I made a lasagna style raised bed with these other additions. 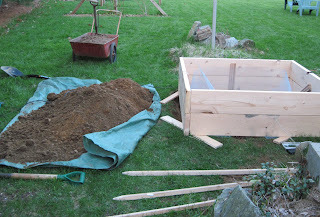 Because this will eventually become strictly an asparagus bed, I am being very careful about weds (vermicomposting is not hot composted, so I will battle volunteers if I add a lot of it too close to the surface. I will water the plants with vermicompost tea later, so I don’t need to go overboard with the vermicompost now. 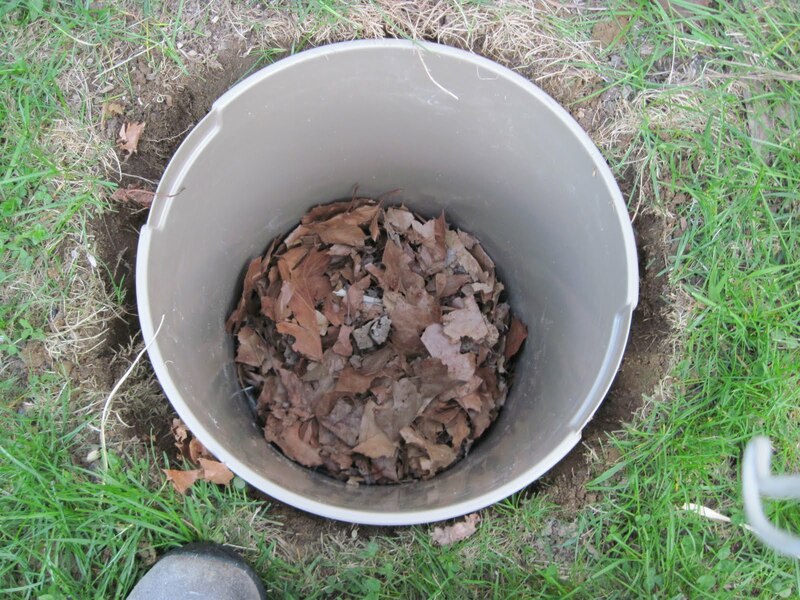 Compost and leaf mold are free. I used very little peat , but a new bag is $4. Other: I used 3” deck screws to hold everything together. Because hemlock warps and shrinks, I chose screws over nails. I already had the screws, but if you were buying them new a medium box costs around $6. I also used hardware cloth (secured with staples). 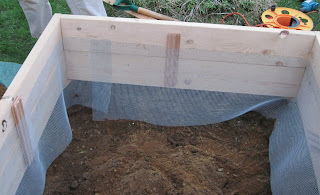 I am using hardware cloth to stop any mice, moles, voles, etc. from tunneling into my raised bed. I’ve suffered from their raids in the past and an ounce of prevention... More on this later. 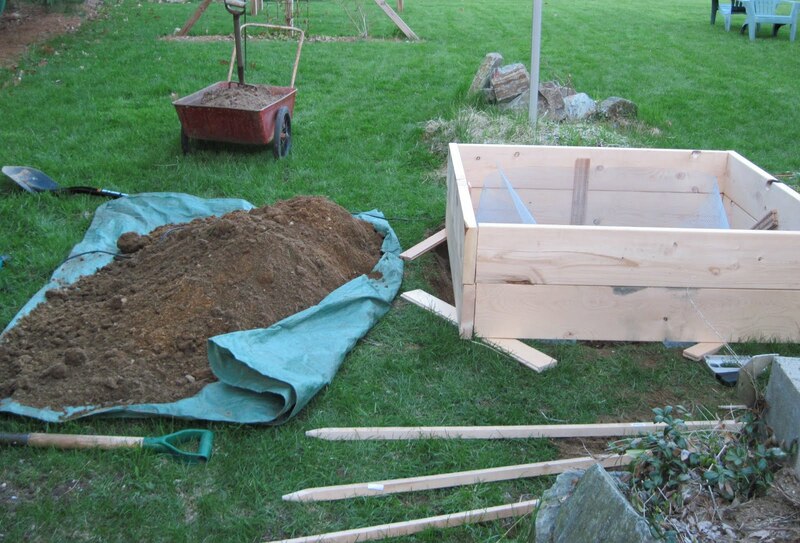 If you’re going to garden in your raised bed, don’t make it too large. The idea is that you don’t want to walk on the raised bed, so you have to be able to reach the entire area. For me, that mandates a design that is not more than 2 feet from any side. Here a 4’x4’ square that I can walk around is perfect. I’ve had problems with underground raiders in the past, so I am adding a bit of insurance to deter them to this bed— hardware cloth is stapled to the inside bottom of the frame. ACE sells 1/4" hardware cloth 24” for around $2/foot. I need 16 feet, so $32. I removed sod from an area a little larger than my 4’x4’. Then I excavated soil to a depth of approx 16-18”. 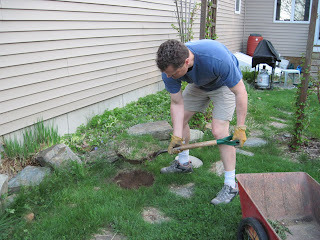 I want good soil down 2’ deeper than the soil surface, so I have to excavate to this depth. It is hard work, but it will be worth the effort later. 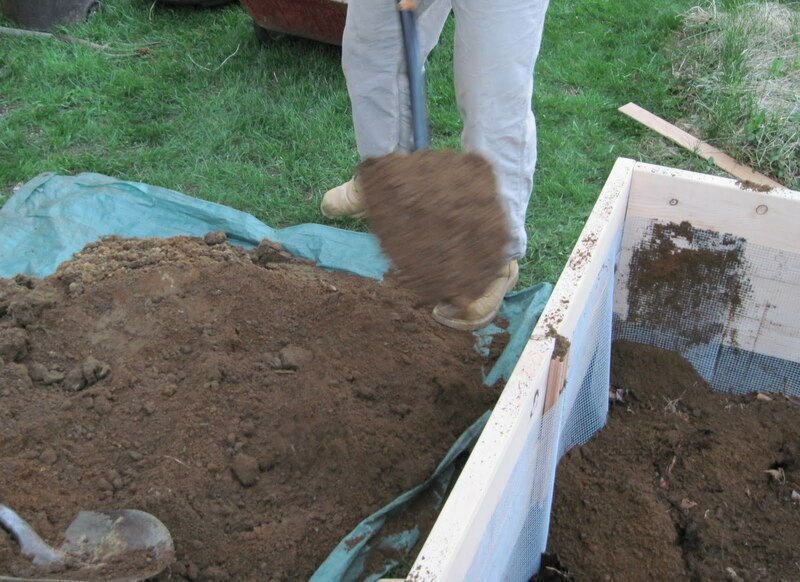 Add the excavated soil to your hot compost pile (you can see one of my hot compost material storage piles in the background). I used ground stakes to help me dig straight lines. 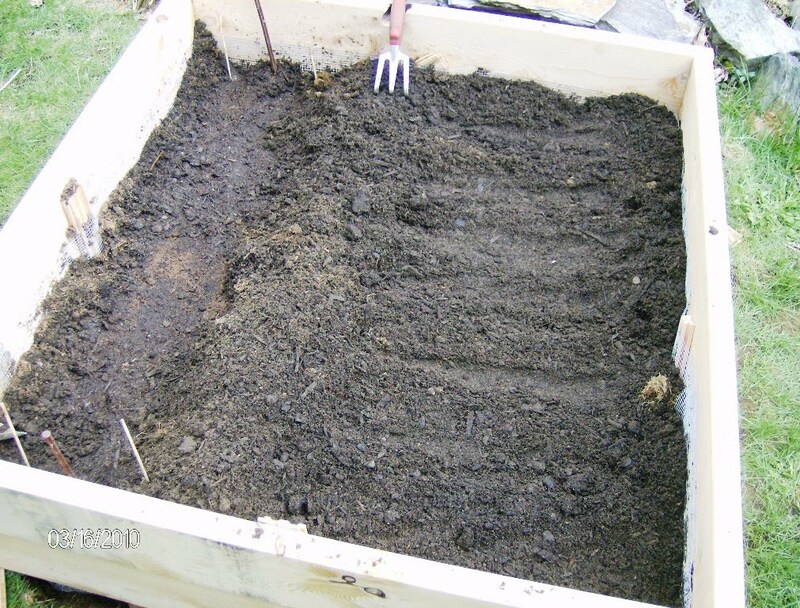 When the site is ready, assemble your raised bed. Eight pieces of 2”x10”x4’ lumber is heavy, so I suggest you do this close to where you will be installing. I end screwed the boards (twice each) and braced the centers with a piece of scrap flooring lumber (on the inside so this will be hidden by the soil). When built, place over your hole. 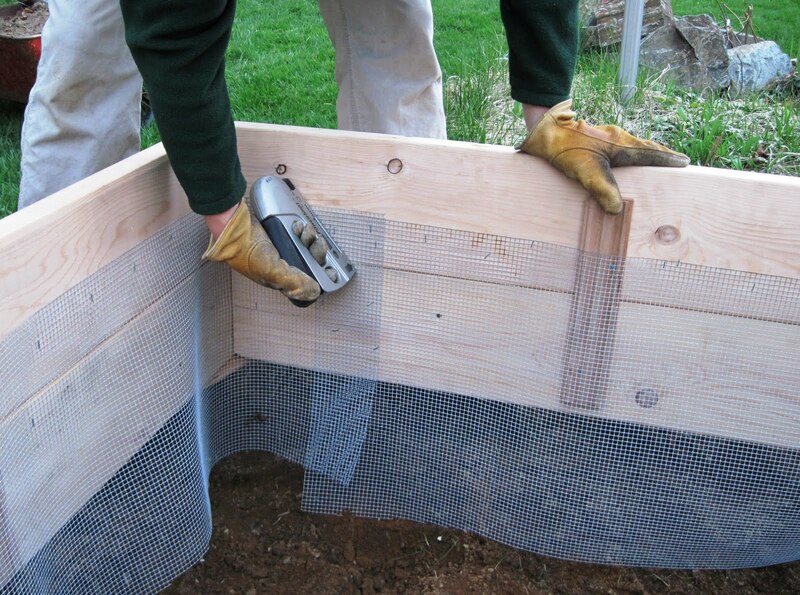 As you can see, because the hole is larger, I have to span the corners to position the raised bed frame. I have lots of scrap flooring, and this works perfectly. Next you staple the hardware cloth to the frame allowing about 10-12” below the bottom. This can be tricky because it is not too flexible and hardware is VERY sharp. Wear leather gloves and a long sleeve shirt. Now comes the fun part: adding in your good soil. As mentioned, I am making lasagna layers with leaf mold and peat (over sprinkled with vermicompost). My top layer is finished hot compost. Water down the whole thing when you are finished, and poke with hay fork to remove any air pockets. Back fill the outside edges to secure the frame, and remove the flooring. Tamp down the soil around the edges and you are finished. I planted with asparagus and beets. I will add more asparagus next spring. I want to have 2 varieties Mary Washington and Jersey ) to give me some diversity for pest resistance. This raised bed cost me a total of $74 and took 3 hours to complete. Although my new asparagus will take several years to establish, I plan to harvest asparagus from this bed for a LONG time. Great recipes for all your home-grown or CSA vegetables can be found here . Eventually, I will dig out the surround grass and replace with landscape fabric covered with wood chips.